Based on the author's extensive experience as a working planner, this book gives readers an insider's view of sub-state urban planning-the "nitty-gritty" details on the interplay of politics, law, money, and interest groups. The author takes a balanced, non-judgmental approach to introduce a range of ideological and political perspectives on the operation of political, economic, and demographic forces in city planning. Unlike other books on the subject, this one is strong in its coverage of economics, law, finance, and urban governance. It examines the underlying forces of growth and change and discusses frankly who benefits and loses by particular decisions. A four-part organization covers the background and development of contemporary planning; the structure and practice of contemporary planning; fields of planning; and national planning in the United States and other nations, and planning theory. 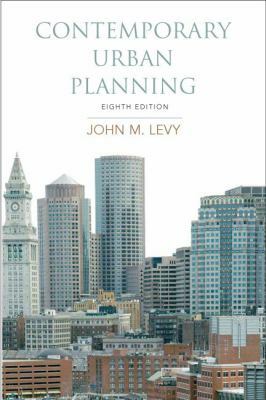 For individuals headed for a career in planning.Levy, John M. is the author of 'Contemporary Urban Planning', published 2008 under ISBN 9780136025450 and ISBN 0136025455. Loading marketplace prices 51 copies from $0.51 How does the rental process work?